Made in our specific technology called Injected Carbon, our wings and stabilizers are very tough and very durable. This technology makes our IC6 wings a lotmore ding resistant than conventional carbon wings. The front wing has a metal insert where the connector extending out of the wing is fully machined via CNC for a very solid and perfect assembly. 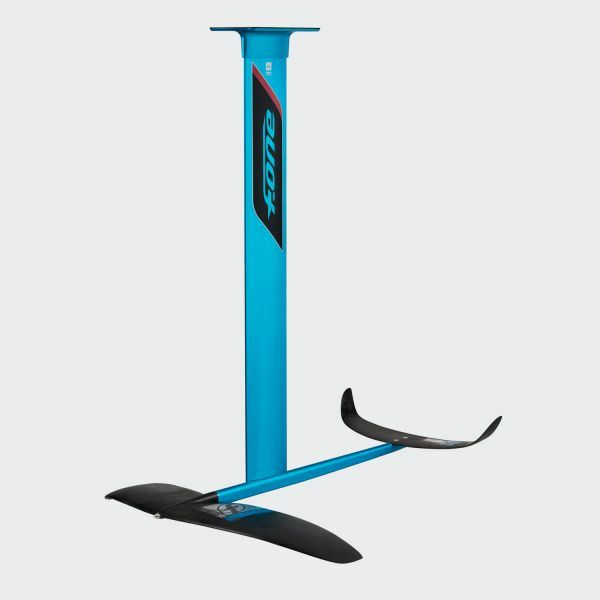 850cm3 is the size of the front wing and it was especially designed to have the largest possible range of use. It can fly at very low speed, its handling isimpressive when carving and it’s got a very nice speed potential up or downwind. The IC6 technology enables to mix carbon fibers with an injected base material to reach a unique blend of characteristics, combining the strength of carbon fibers with a bombproof base material. The IC6 technology offers great resistance and stiffness with extreme durability. Kapcsolódó linkek "IC6 850 V.2 Kitefoil Full szett"
Vásárlói értékelés "IC6 850 V.2 Kitefoil Full szett"